SMART Recovery's new executive director, Susan Licate, brings the proven skills in strategic leadership, communications, fundraising and business administration needed to sustain and accelerate the organization's growth. Her award-winning talents in marketing and media outreach should broaden awareness and acceptance of SMART as a mainstream provider of recovery support. Susan will officially join SMART Recovery on April 2nd. "SMART was fortunate to have many qualified professionals apply for the executive director's position. Susan has the professional acumen, creative energy and drive we need most at this pivotal time in our history. I am pleased to announce the Board selected Susan Licate to become our new executive director, succeeding Shari Allwood," said SMART Recovery President Joe Gerstein. 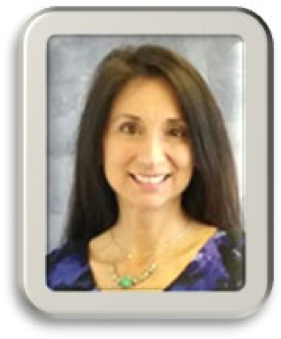 "Susan has extensive experience in the corporate and nonprofit worlds, holding an MBA from Lake Erie College. She has provided leadership and communications support for accounting and professional services firms, hospitals and a school of medicine," Joe added. "SMART has been on an amazing trajectory under Shari's direction," Susan said. "I share the same vision for success and recognize the importance of ensuring the organization is well-positioned for sustainability through its next stage of growth. "I am honored to lead SMART to achieve measurable outcomes that will guide us to reach the goals of the strategic plan. I look forward to enhancing SMART's visibility across America, driving the expansion of needed programs and services - and ultimately working to improve human health through the people we serve so they can thrive in life and within their community." She performed some of her most creative work as communications & development director at the Zinner & Co. accounting firm. For brand marketing and video campaigns there, she won 2016 and 2017 Lake Communicators-Apex Awards. Susan has decades of experience raising funds, managing events for that purpose for social service organizations, including the Epilepsy Association, Cleveland Free Medical Clinic and Lake County Council on Aging. Working at Lake Erie College, she contributed to many types of campaigns that helped bring in five- and six-figure donations. She holds a Certificate in Strategic Marketing from Case Western Reserve University and is certified in mediation communications by the State of Ohio Supreme Court. Her board governance experience includes 10 years of advising nonprofit boards and leading many committees. Susan has years of experience in all the fields required for effective organizational leadership, including fiscal and human resources management, distance facilitator training, annual conference planning, contract negotiations and new product development, marketing and public relations. Over the past three years, she has served as an adjunct professor in the business management division of the Lakeland Community College. She has provided marketing solutions for higher education institutions, professional service firms, healthcare systems and nonprofit organizations in Northeastern Ohio, and supported highly visible national events including the World Doctors Orchestra and Case Western Reserve University's Visual Science Research Symposium. Susan managed the publicity for appearances on behalf of many colorful individuals, including Robert Ballard, founder of the Titanic shipwreck; football icon "Rudy" Ruettiger, the undersized Notre Dame player and inspiration for the "Rudy" award honoring the four C's - character, courage, contribution, and commitment as a member of their team"; notorious CIA interrogator David Martine; and retired Green Beret special forces soldier and award-winning author S.B. Newman.